The Owl, Florida State University’s undergraduate research journal, is accepting submissions of creative projects including, but not limited to, visual art and creative writing for publication in its 2018 edition. 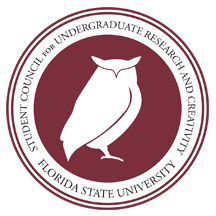 The Owl aims to educate and promote an interdisciplinary exchange of ideas through the publication of research conducted by outstanding undergraduates in the FSU community. Our mission is to provide the university with a printed journal that showcases the heterogeneity of our emerging scholars and establishes undergraduate research at this top-tier research university. This is a publication of the Student Council of Undergraduate Research and Creativity (SCURC) and is sponsored by the Student Government Association. Deadline for all entries is March 4th at 11:59pm. *You may submit to both visual art and creative writing in the same submission. *Selection decisions will be released March 9th.